Any way you slice it, it’s been a long winter. Living in the east coast, we’ve experienced an seemingly unnatural amount of snow and cold this season. Even earlier this month, parts around D.C. were flirting with single-digit temperatures, unheard of for the final throes of winter. 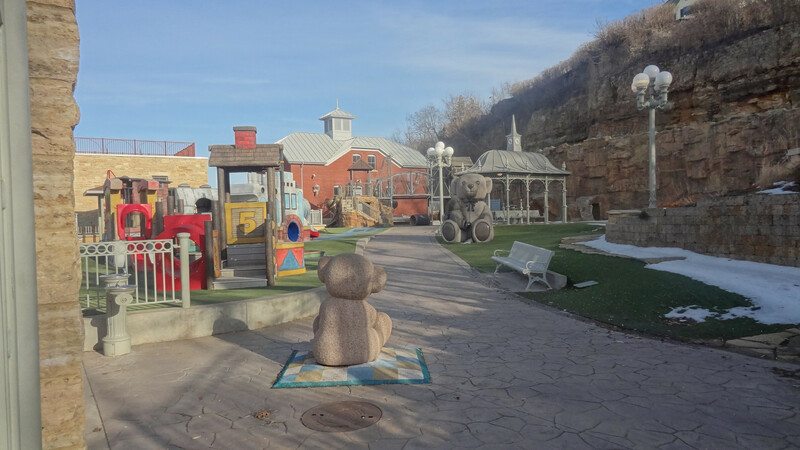 I spend a lot of weekends in the Minneapolis area visiting my girlfriend, and recently we challenged the doldrums of the Minnesota chill by deciding to take a couple day trips anyway, to some of the unique small towns that dot the Mississippi and St. Croix rivers along the Minnesota-Wisconsin border. Yeah, a little too much space between my toes and the front. Can I try a 13? 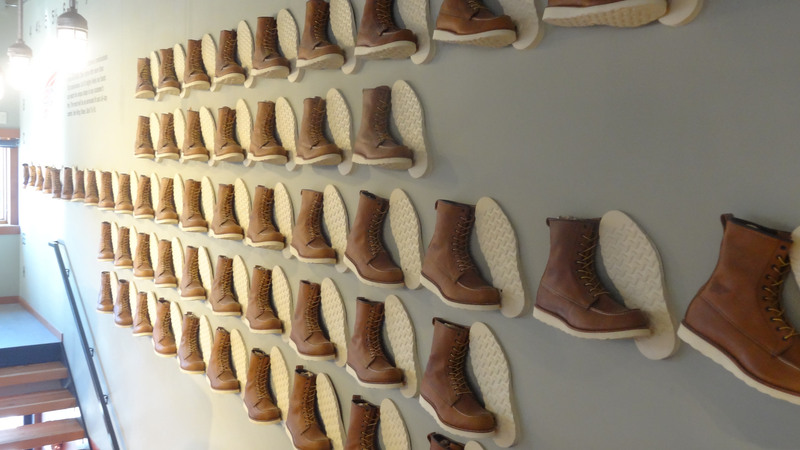 First up was Red Wing – known for the company that churns out hardy work boots. 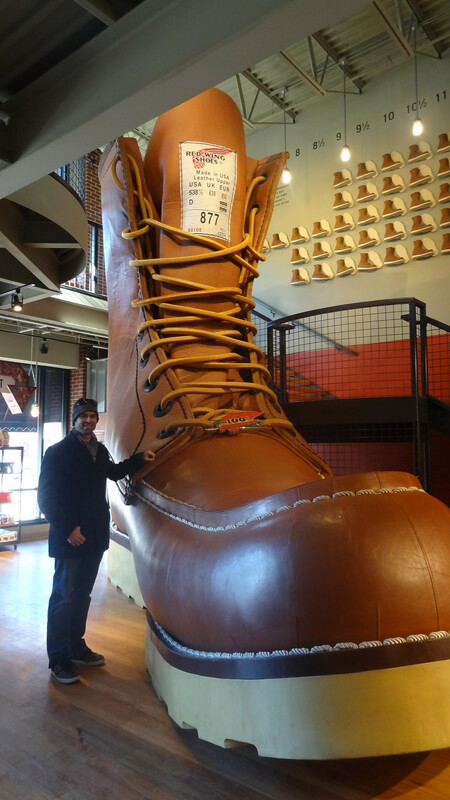 Here you can pop into the flagship Red Wing company store and museum and measure yourself next to a size 638 1/2 boot (a Guinness World Record for boot size) and mull over how many hides it took to make that thing. Yep, methinks PETA would probably get a bit queasy over it. No visit to Red Wing is complete without visiting the Hanisch Bakery, with all sorts of good treats and eats. We picked up some fresh buns for sandwiches and they were the epitome of buttery goodness. 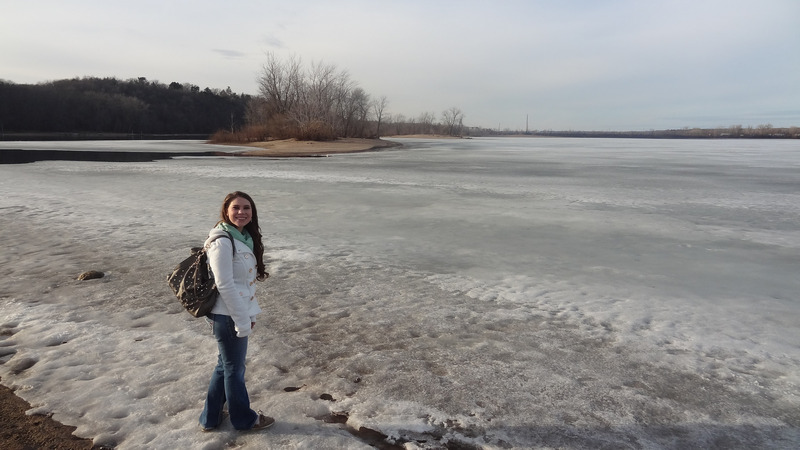 We continued on, snacking on a couple cookies while we meandered next to the frozen Mississippi. 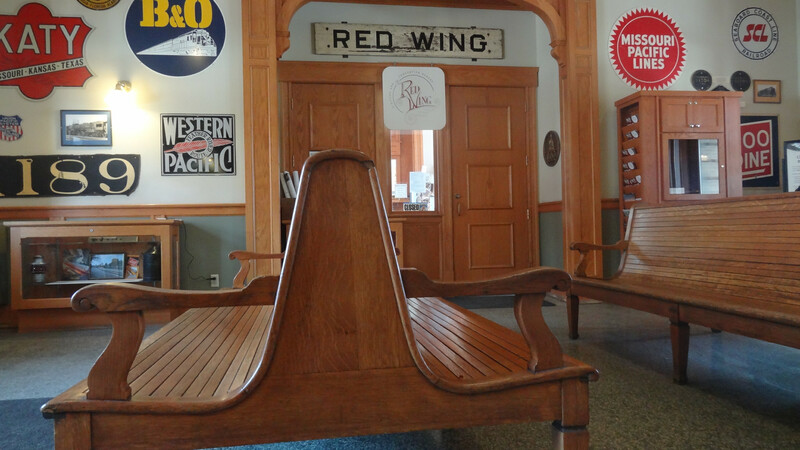 The old train depot now houses an art gallery and still serves as a fully functioning station for Amtrak’s Empire Builder line. 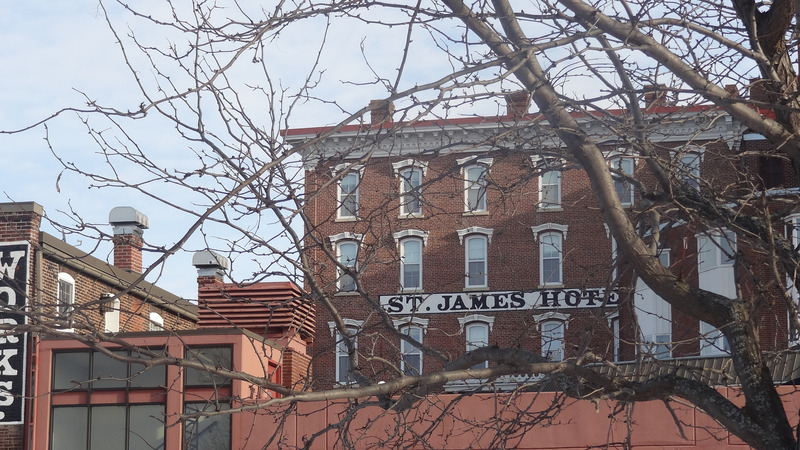 Lastly, visitors should at least pop their heads in to the historic St. James Hotel, it’s truly a throwback to the old steamboat society of the mighty Mississippi and well worth walking up and down a few of its floors. 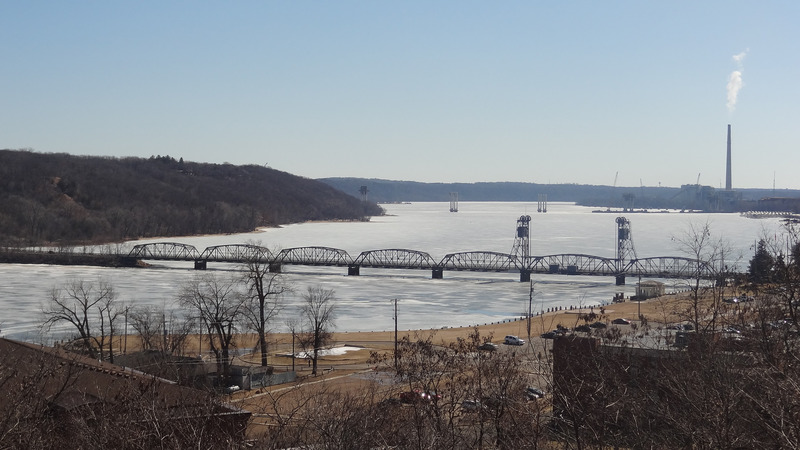 A couple weeks ago we made our second journey this year to Stillwater, one of the first towns in the state and situated comfortably on the St. Croix river. Stillwater is known to as the home of the Minnesota Territorial (and later State) Prison. The warden’s house for the original prison remains as a museum and Stillwater (combined with nearby Bayport) still host the largest correctional facility in the state. That’s not what brings in tourists, though, who are likely far more attracted to all the quaint shops and restaurants scattered about downtown. 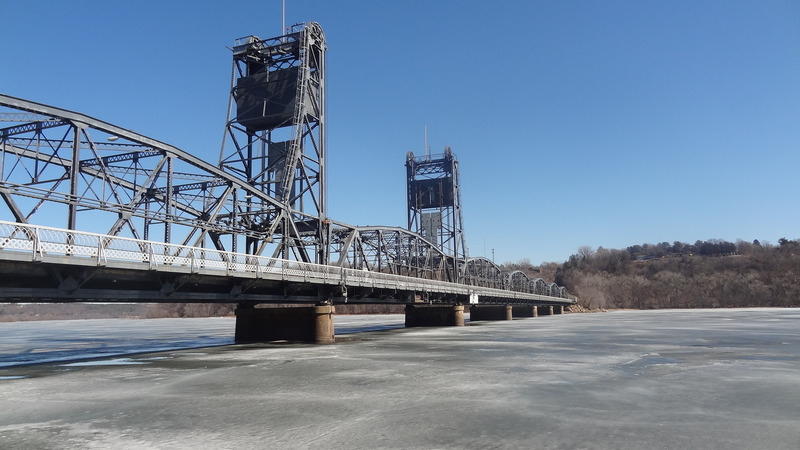 You could skip all these and have a nice stroll along the St. Croix or search for the many stairways about town that lead you to some spectacular views of the town and river. Seeing as it was unseasonably warm on this mid-March day (55 degrees!) we did the walking tour first (well after grabbing coffee at the Daily Grind – as cozy a coffee shop as it gets). For my birthday lunch (yep, 33…) I ordered a Leo’s Melt at, well, Leo’s Grill & Malt Shop. They have the best burgers I’ve ever tried in Minnesota, please, just go there (though a seat could be tough to grab, especially in the early afternoon). We spent the rest of the day at what I dubbed a DIY museum. 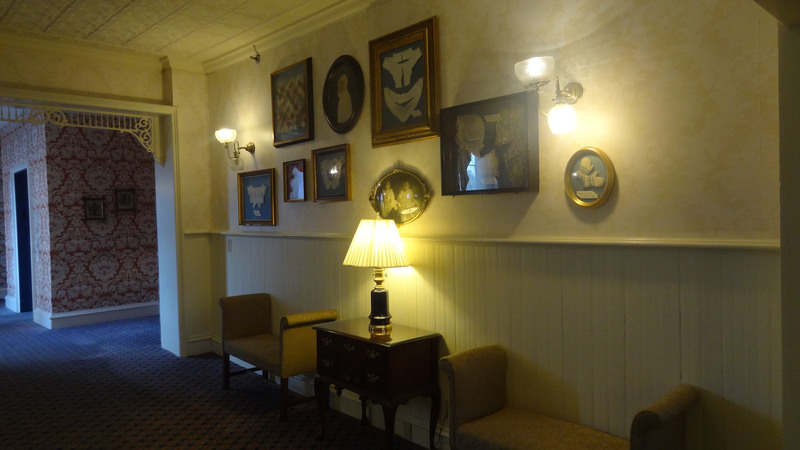 The sprawling Midtown Antique Mall is just that, a huge, three-floor clusterbomb of any and all antiques imaginable. You could spend hours upon hours digging up stuff you never would have remembered if you didn’t find it here. Of course, a lot of it falls under “junk you don’t need, but kinda want if you had endless space”, but I still walked out with a few PEZ dispensers (to donate to my sister’s collection) and an old postcard of the Gloucester Cathedral which we visited on our trip to England in 2012. We ended the night with a evening stroll in nearby Hudson, Wisconsin at the St. Croix river front. 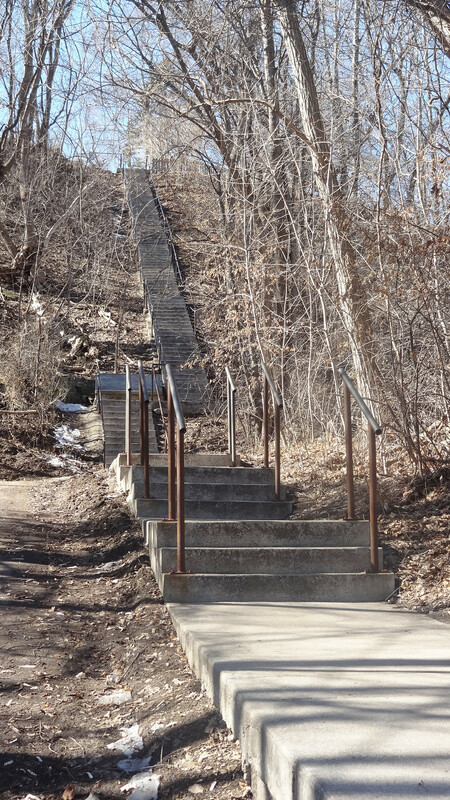 The city has constructed a pedestrian pathway that juts out well into the St. Croix river and ends at a large beach, tantalizingly close to Minnesota (I initially thought you could walk all the way across). Discovering these small town getaways has given me an even bigger appreciation for these places. I used to love the bustle of visiting a big city, but big city life can get old when you live in one. Next time your just passing through a little town, take the time to go downtown and get a feel for the place. Stop a try something to eat at a local pub or tavern – you may end up feeling more at home than you ever have before. Totally agree on giving the small towns a chance rather than just breezing through on the interstate and eating at chain restaurants. Loved that gigantic Red Wing boot! And that’s nice of you to snag some PEZ for your sis. Btw, happy 33rd birthday. As it turns out, we are the same age. Thanks for the birthday wishes Tyson. The PEZ thing has me inspired to do a travel souvenir collection post or something. Personally, I snag patches at places I visit (almost every national park site has at least one).